159. Hypothermia – infant extremities appears pink, decreased O2 dissociation. 160. Stream indicator of organ perfusion- urine output. 161. Coning of cerebellar tonsils through foramen magnum, immediate effect- respiratory arrest. 164. Lorenzo’s oil slows down the cerebral white matter degenerative changes in ALD. 166. SBP centile for compensated shock (MODS criteria)- less than 5th centile. 167. 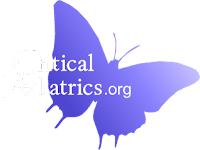 Febrile seizures major risk factor- Age less than 1year. 168. Gradenigo syndrome all except– contralateral eye pain. 169. Romanaward syndrome associated with long QT. 170. Ectopia cordial associated with Pentology of cantrel. 171. ROP- 28weeker, screening done at 32weeks/ 4weeks after. 172. GTCS child on valparin 10mg/kg, uncontrolled seizures- increase the dose of Valparin. 173. Fixed drug eruption scenario. 174. All sensations are carried by ventral tract except- proprioception. 175. CVP catheter is placed in which position- semi reclined position/ Supine/ lateral. 176. Heart disease associated with decreased pulmonary blood flow- ?VSD with PS. 177. Hyperdynamic apex- volume overload. 178. Most common cause of Under 5 mortality- Pneumonia. 179. Intensity of PS murmur in TOF – inversely proportional to the severity of stenosis. 180. Insulin administration and lipodystrophy- 6months/ 6months to 2yrs, 2 to 5yr, >5yrs. 181. Limb hypoplasia and Brain lobe associated- frontal/ parietal/ Temporal/ occipital. 182. HIE 2 stage associated with Miosis. 183. Pulmonary pressure maximal fall to adult value – 1day/ 3days/ 6days/ after 6days. 184. 1st sign of papilledema- Nasal obscuration. 185. Morphine dose in cyanotic spell- 0.2mg/kg. 186. Refractive error seen in ROP- Myopia. 187. In case of sepsis, AKI incidence after how many days- 1 to 3days/ 3 days to 7days/ 7 to 10 days. trying to help each other.